Powder Brush is the key to any well-equipped makeup kit. 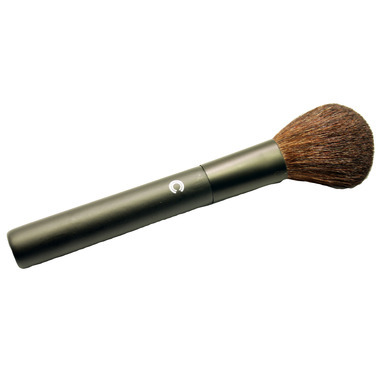 This large, plush face brush dusts on loose or pressed powder for smooth, even application. Generally happy with this, especially for the price! Some bristles fall out every time I use it, and it's a little big, but it does the job. The bristles are soft, at any rate, and it spreads the powder well. Works great! Powder spreads evenly and great quality brush! Definitely worth the price!!! Love it, have nothing bad to say. Feels silky and soft, spreads powder evenly, feels sturdy in the hand. Especially for the price, it's better than I expected.